Hi Time Eternalites! Happy Black Friday to all who observe. We left off yesterday with the point that Christ’s death revealed to humanity the true gravity and tragedy of death. We’ll shift focus slightly and pick up on the topic of what it means to die in our lives. What can we learn from Christ’s death about bearing grief and facing our own deaths? The natural human response to tragedy–and Christ’s human response to the death of Lazarus–is that of sadness. Where modern society might encourage a grieving person to look on the bright side and be comforted, a person’s initial (and correct) response to death is profound sadness. Jesus Christ, the Son of God, who is everything that it is to be divine and also everything that it is to be human, wept. It is natural to look upon death with great sadness and to weep at the funeral of a loved one. Grief, however, is not the final response to death in the Orthodox Christian approach. When remembering Christ’s sacrificial death on the Cross, there is never a separation from the joy of the resurrection that occurred three days after His death. If Christ were merely to have died and that were the end of His life, then the human race would not be saved and this death on the Cross could merely be seen as a one-time tragedy. Instead, when all seemed lost, an innocent man forced to die a violent death, this same man was raised from the dead in the same body that had been crucified. The Scriptural account makes it clear that Christ was not merely a spirit that went to see the disciples, but Christ was raised flesh and blood. He was able to be physically handled and touched by the disciples and the myrrhbearing women, he was able to eat with the disciples in the upper room and on the beach, and He still bore the marks of the nails that were driven into His flesh just a few days before. In Christ’s death, death the “last enemy,” as St. Paul calls it in I Corinthians 15:26, is destroyed. Death was the last enemy because prior to Christ there was no hope for the human race because of death. No matter what they did in life, no matter how righteous, as is shown in the examples of Job and Abraham, all people must die. 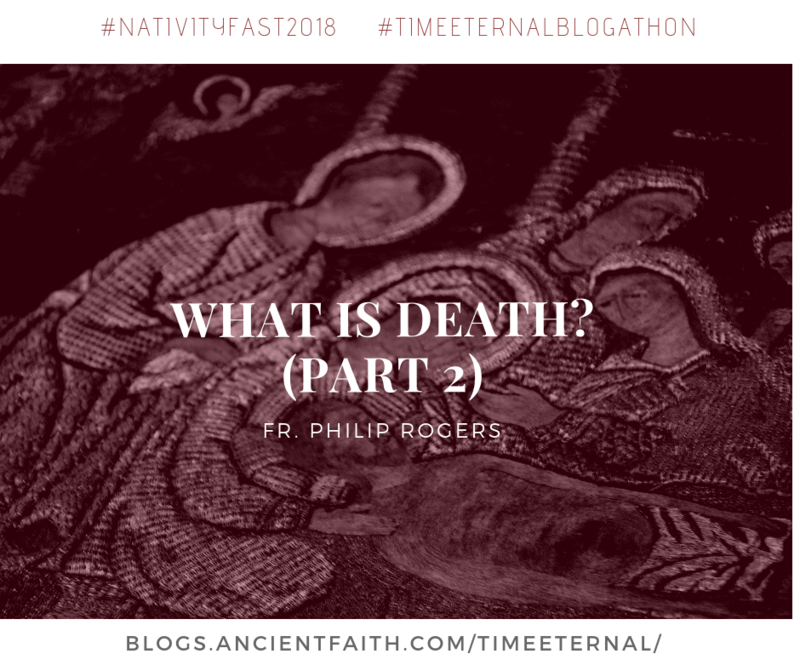 Since it is something that must be endured by all, no matter their faith, then death could be seen as a force that is greater than humanity and opposed to God. But, in the death and resurrection of Jesus Christ, that powerful force that kept the human race from hope was destroyed. Christ showed, by His death, that death did not actually have reign over the human race, God does. By being raised bodily, Christ showed that there is no power greater than God that can keep humanity from the life that God intended from the beginning when mankind was created as a “living being” in the image and likeness of God. In all of this, there is a paradox. For the Christian, death is, on the one hand, a very great tragedy. On the other hand, death can also be viewed as a blessing. This is still not to say that God created death, only that “all things work together for the good for those who love God and are called according to His purpose” (Romans 8:28). Though not created by God, man does live in a world where death exists and God is fully prepared to use it. Likewise, a Christian is called to die daily (I Cor. 15:31) and to take up his cross and follow after Christ (Mark 8:34). This does not mean that a person is to physically die every day, but to renounce the sin that is apparent in the world and lead a life that has as the sole focus of everything Jesus Christ. In doing so, the Christian is beginning the process of transformation to new life in this world. Death is far closer to us than we imagine — not just a distant event at the conclusion of our earthly existence, but a present reality that is going on continually around us and within us. “I die daily,” said St. Paul (1 Cor. 15:3 1); in T.S. Eliot’s words, “The time of death is every moment.” All living is a kind of dying: we are dying all the time. But in this daily experience of dying, each death is followed by a new birth: all dying is also a kind of living. Life and death are not opposites, mutually exclusive, but they are intertwined. The whole of our human existence is a mixture of mortality and resurrection: “dying, and behold we live” (2 Cor 6:9). Our earthly journey is an unceasing Passover, a constant crossing over through death into new life. Between our initial birth and our eventual death, the whole course of our existence is made up of a series of lesser deaths and births. 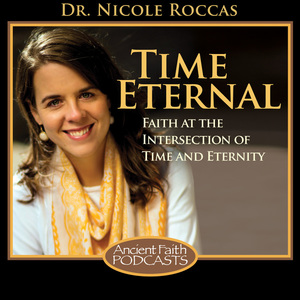 I love the idea of seeing our earthly journey as an “unceasing Passover”; the journey of life and death is one that is taking place every day, every moment. May we have eyes to see this, even and especially as we turn toward the birth of Christ our Saviour, who came into this world to save sinners from death. Just wanted to say thanks again to Fr. Philip for sharing his thoughts and hard work with us!